47 LISTS The SimpsonsLists about Matt Groening's animated sitcom about an average family from Springfield, airing since 1989. List Rules Vote up the quotes from Bart Simpson that are most useful if you're in a jam. Bart Simpson is the most notorious troublemaker on The Simpsons. He's most prolific mischief maker on one of the greatest cartoon shows of all time, so naturally, he has learned to avoid punishments when gags go too far. Maybe you've gotten into trouble, and need to know how to get out of it. That's why there's a list of the best Bart Simpson quotes to get out of trouble. Even if you're more of a Lisa Simpson, and aren't looking to get in to or out of trouble, you'll still enjoy these funny Bart Simpson quotes. 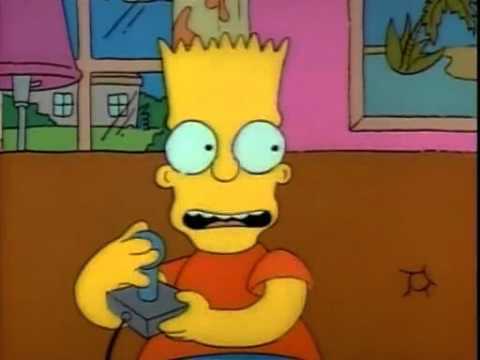 So go ahead, vote up the best Bart quotes on The Simpsons that come in handy when you're in a dilly of a pickle. "I Didn't Do It. Nobody Saw Me Do It. You Can't Prove Anything." Season 1, Episode 6 - "Moaning Lisa"
How to use it: When your alibi is rock solid. Should this be higher or lower? Season 4, Episode 7 - "Marge Gets a Job"
How to use it: When you want somebody to forget they're mad at you and only a medical emergency will do the job. "If You Don't Watch The Violence, You'll Never Get Desensitized To It." Season 3, Episode 20 - "Colonel Homer"
How to use it: When you want to watch something truly horrible. "I’m Halfway Through It, I Swear!" How to use it: When you're accused of not being prepared.